No matter what type of product or service you sell, there's not much better than hearing from a happy customer. 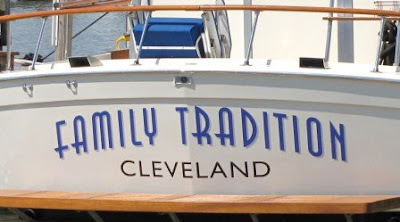 When you ship something like vinyl lettering all over the country, you often only hear from customers when they need help removing old boat name lettering, or concocting a boat re-naming ceremony. So when a customer takes the time to send photos of the finished product, in use, and write something nice, it is very rewarding to know all your hard work was not for nothing. Our lettering looks great and was simple to apply. Attached are a couple of pictures if you’d like to use on your site. 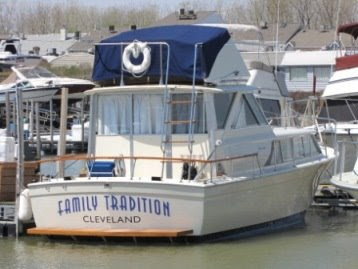 If you'd like a boat name like Lisa's, please visit Custom Boat Names.